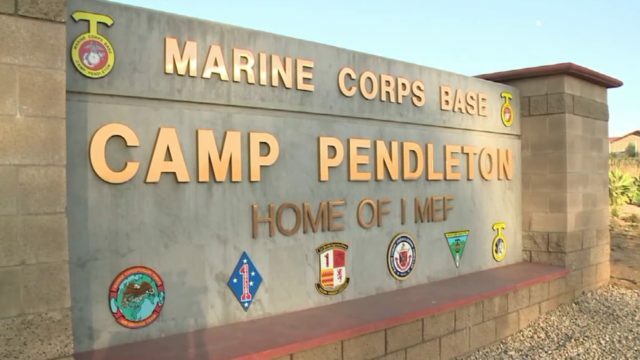 A brush fire that spread across open terrain on the grounds of Camp Pendleton was 75 percent contained Friday, authorities reported. The blaze, which was reported shortly after 2:45 p.m. Thursday, prompted a closure of Basilone Road but posed no reported structural threats. Basilone Road was reopened around 2:30 a.m.
By 4:45 p.m. Thursday, the flames had scorched roughly 60 acres and military and civilian firefighters had the burn area about 30 percent contained, officials said. As of 2:30 a.m., crews had the burn area about 75 percent contained, officials said.